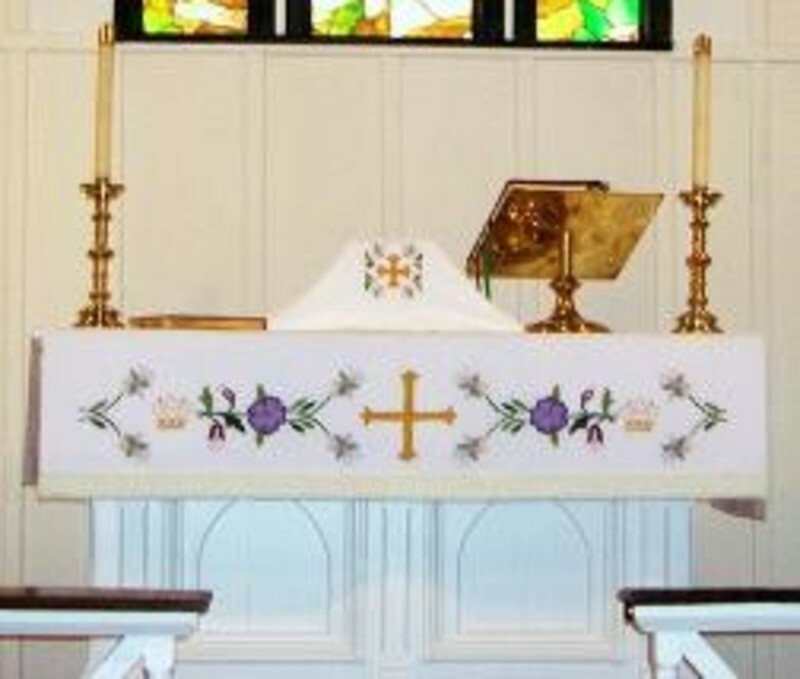 The Altar Guild is blessed with the duty of preparing all the things necessary, in and around the altar, for the celebration of Eucharist or any other sacraments or services of the church. The preparations are done so that services are conducted with order and beauty fitting for the worship of God and his Son, Jesus Christ. This includes maintaining clean and pressed linens, applying the appropriate colors to the altar for different seasons and services of the church, and maintaining the silver, brass, and/or gold vessels used for services. 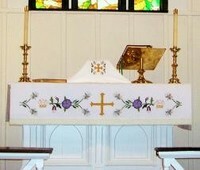 In addition, the use of flowers around the altar is maintained by the Altar Guild. The Altar Guild at St. John’s is primarily made up of women in the church, although men have played a vital assistive role, and children will also assist by carrying items to and from the sacristy. Men, women, and responsible children may serve on the Altar Guild. All it takes is devotion and a sincere desire to serve the Lord in this manner. Sometimes, the work seems tedious and mundane, but presenting an organized and beautiful altar is an offering to our Lord. Gifts and talents necessary are only the willingness to learn the simple lay-out of the altar and being available every few months to serve for a month, with another person. St. John’s is such a flexible environment, if you have to miss a Sunday, there’s always someone who pitches in and helps. Serving on the Altar Guild is an honor and a privilege; a service to God, and his Son, Jesus Christ.